Never before has the U.S. government allowed Internet access to Cuba, nor the use of under-sea cables that pass near its coasts or other facilities. Many Internet sites are banned from the island because of the 59-year economic war. However, Barack Obama approved a license for Google to enter Cuba. What were the reasons for that decision? 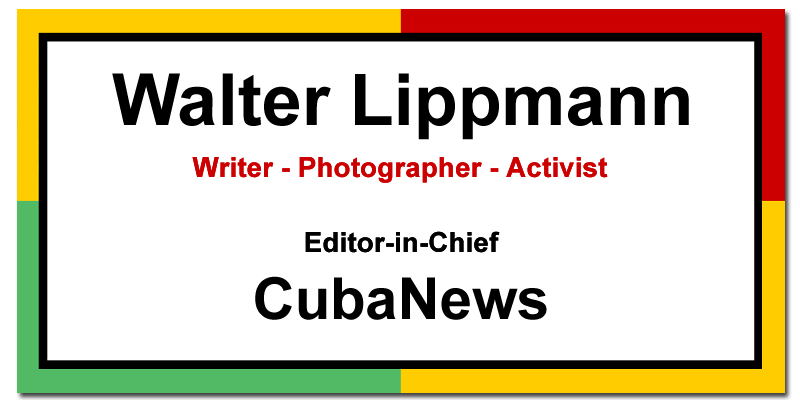 To help Cubans access more scientific, technical and other information to improve the Cuban economy? Of course, Cuba must take advantage of this opening, however small it may be. [We want] to go out into the world and make our truth known, to defeat the media campaigns that overflow the network of networks with lies, such as false claims of violations of the rights of Cubans, to share Cuba’s achievements, achieved with effort and sacrifice, despite the damage caused by the criminal policies of the United States. It is the opportunity to tell the world about the terrorist acts carried out by the U.S. government, the biological warfare which affected the people and the persecution of all the foreign banks and companies that try to establish business with Cuba. In order not to be naïve, Cubans must be aware of what lies behind Obama’s [granting of the] license and why Donald Trump maintains it, despite having taken steps to dismantle many aspects of his predecessor’s policy, including the Presidential Directive, which sought to kill the people with honey, rather than with whips. Since his arrival in the White House, Trump has delivered on his campaign for the presidency, but he has not changed the license granted to Google for Cuba. In recent days he allowed Google’s executive president, Eric Emerson Schmidt, to travel to Havana in the company of Republican Senator Jeff Flake. Their background speaks for itself. In 1996, the RAND Corporation of the United States National Defense Research Institute conducted a study for the Defense Department entitled “Cuban Communications, Computer Networks and their Implications for U.S. Policy. “It is necessary to encourage Cuba’s link to the Internet, to use it to transmit balanced news and analysis, to promote its use by Cuban NGOs, universities and other audiences. “The United States has relaxed licensing requirements so that, for the first time, high-speed personal computers can be delivered to civil society groups. During an event held in 2012 at the Heritage Foundation, in conjunction with Google Ideas, a report was prepared recommending that the U.S. government create a remote WIFI network to enable Cubans to access the Internet. “The Cuban totalitarian system could collapse if all Cubans had free access to the Internet, because Cuba would follow the same fate as those countries that spent the Arab Spring. The State Department announced on June 13, 2013, proposed projects to promote democracy and human rights in Cuba, including the use of digital tools to be used, selectively and safely, by the civilian population, along with other programs to promote equality and defend the social networks of black Cubans. Programs created for subversion in Cuba such as Zunzuneo and Conmotion, the latter designed by the Open Technology Institute at The New America Foundation, were promptly denounced.